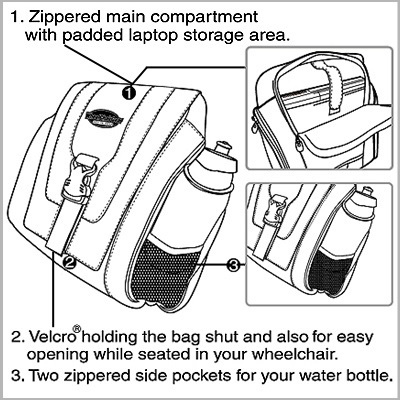 Do you need to carry stuff with your chair? We can help! 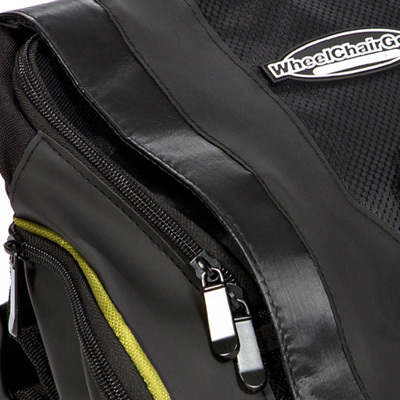 The best wheelchair bag for carrying a laptop or tablet. 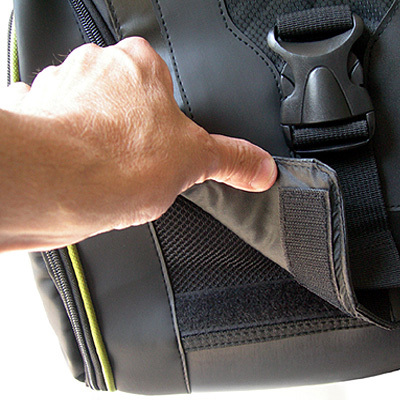 The Urban Wheelchair Accessories Messenger Bag features a padded sleeve and a fully lined pocket to hold your Lap-top tablet, and books or anything else you need during the day. 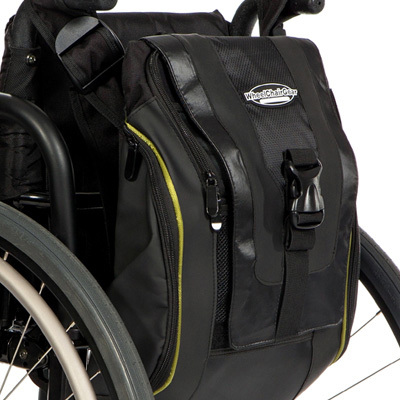 The Urban Wheelchair Messenger Bag features a padded sleeve and a fully lined pocket to hold your Lap-top tablet, and books or anything else you need during the day. 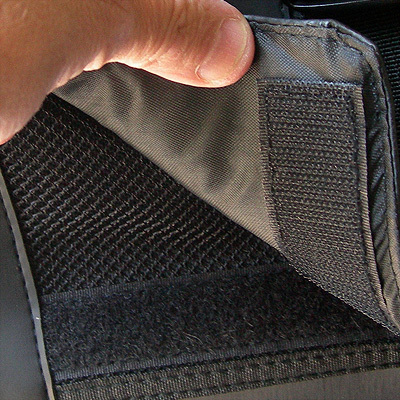 The front flap of the bag is secured with Velcro so you don’t have to undo the front clip while sitting in your chair. 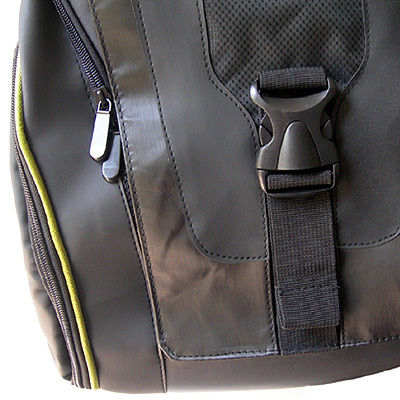 The clip is sewn onto the bag completing it’s professional design. 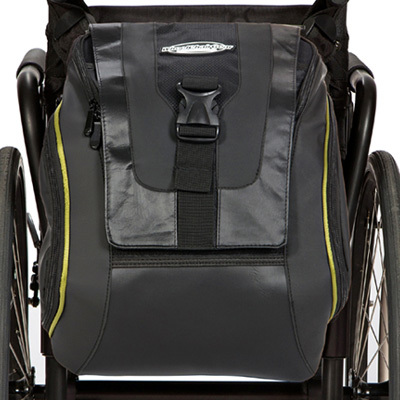 This wheelchair bag also has two zippered pockets on either side for water bottles, which can be zippered closed when not in use giving the bag a sleek, modern look. 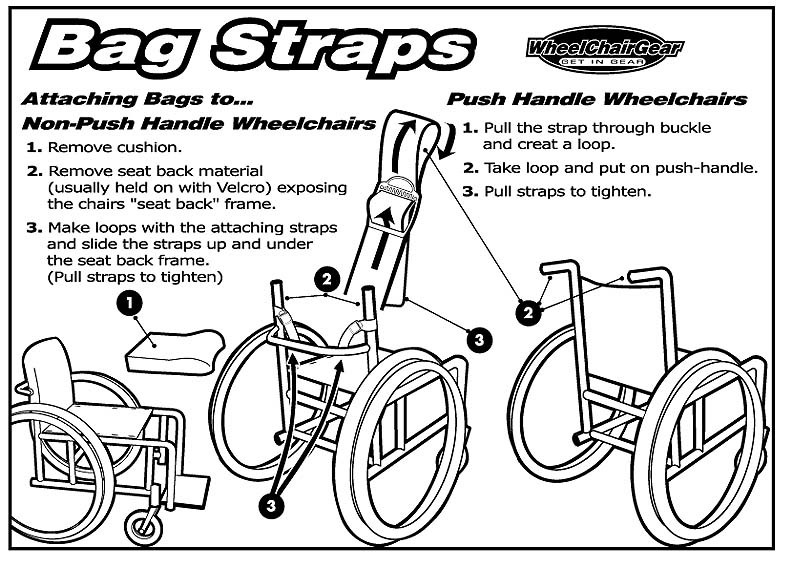 Attaching the wheelchair bag is easy with our 2″ heavy-duty straps that form loops and buckles that provide adjustments for tightening and loosening each strap. 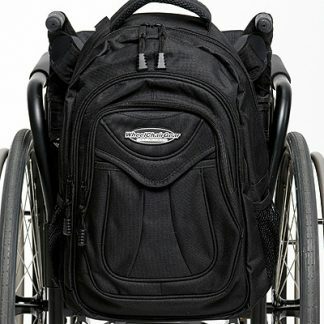 Wheelchair Backpack Size:(approx): 15 1/2″ high and 12″ wide. 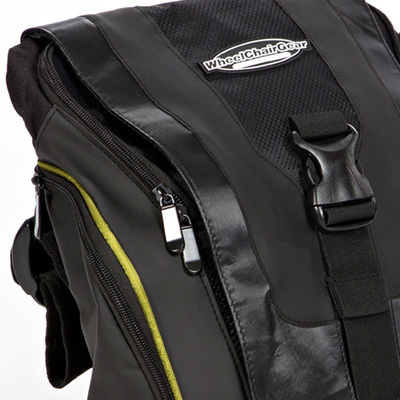 (approx): 4″ thick and highly expandable! 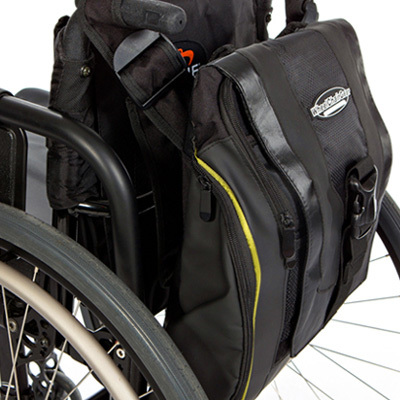 This wheelchair bag easily carries all your gear!